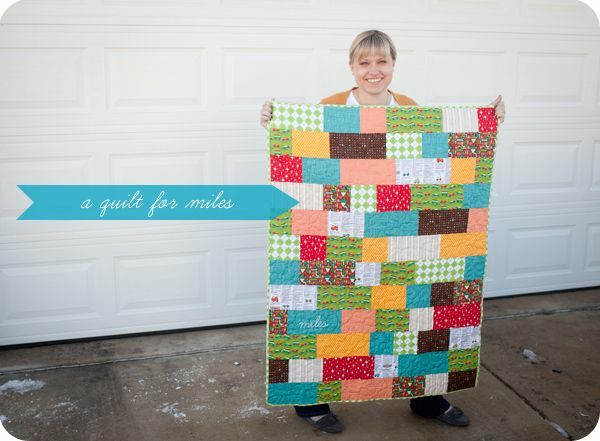 I recently finished this quilt for my friend Stephanie's soon-to-arrive baby boy, Miles. 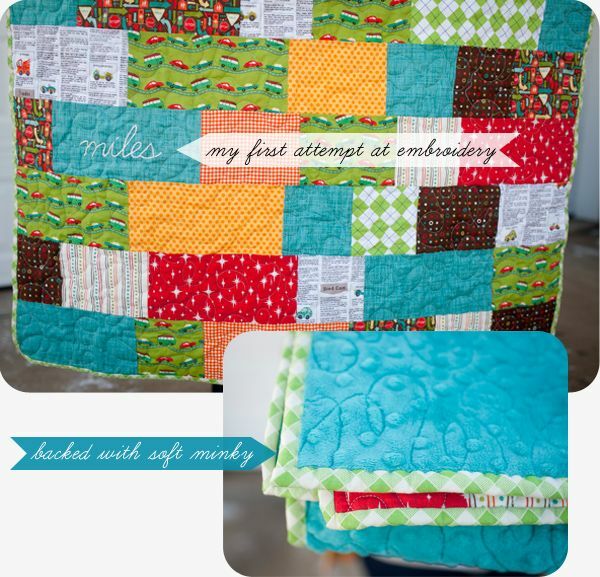 I used the same tutorial and most of the same fabrics that I used for this quilt but I added some lighter fabrics to break things up a little. I've been wanting to try a embroidery for a while so I stitched the baby's name on the top before I had it quilted by Melissa at So Shabby Quilting who always does a nice job. Last night I started cutting out a quilt for another friend's baby. It's for a girl and the fabrics are so sweet. Can't wait to share it with you when I'm finished!